The slide show (below) seems to have some problem. 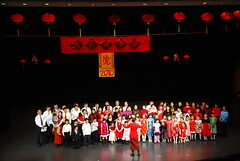 It should automatically pick up photos tagged with AHCS-2010-New-Year in the AHCS group on Flickr. So if you would like to show your photos here, please tag them with AHCS-2010-New-Year and post them in the AHCS group. Thanks! Here is a link to see all posted photos for the event: http://www.flickr.com/search/?s=int&w=all&q=AHCS-2010-New-Year&m=tags -- Enjoy!